Today, my group put together our Pecha Kucha in order to present it tomorrow. We then tried to abide by the 20 second limit on each slide due to the nature of a Pecha Kucha presentation. 20 slides, 20 seconds each. We were doing pretty well until we came to the parts where we had exchanged roles and notes, however after a few more tries we were definitely improving. Tonight I shall make cue cards in order to help me with the presentation and make sure I get all the details I wish to out. In 1941, it was released that Avery had signed a contract with MGM , where his role would be to create and direct short animations in technicolour. He admitted that he missed ‘Loony Tunes’ however he preferred it at MGM. We decided during our team meeting today that we should mix up the slides a little. Previous feedback was that you could see that different people did different sections, and so to liven up the rhythm we swapped some slides and exchanged research notes. I am now doing the beginning of Avery’s MGM career and his Legacy, whilst I gave the two slides containing his late career and death to Veronika. We also began putting our slides together, gathering photos and images as the second years informed us that Pecha Kucha’s have no wording as it distracts from what the presenter is trying to say. Today I researched the Legacy of Tex Avery. I found that he influenced an awful lot of works. His influence can be seen in ‘Aladdin’ in the character of the ‘Genie’. Other works include: Phineas and Ferb, Spongebob Squarepants, Freakazoid! and Animaniacs. A cowboy bore his name in ‘The Wacky World of Tex Avery’ as well as his work being honoured on ‘The Tex Avery Show’ and ‘Cartoon Alley’. In ‘Who Framed Rodger Rabbit’ they aimed to capture Avery’s humour in a less brutal fashion. Droopy, Avery’s own creation, made a cameo appearance and the character of Jessica Rabbit was based of his showgirl ‘Red’. Jessica even sang an interpretation of the song sang in ‘Red Hot Riding Hood’. Dark Horse Comics also adored his work releasing a trio of mini series which were openly labelled tributes to Avery’s work: Wolf and Red, Droopy and Screwy Squirrel. His influence can also be seen in Dark Horse’s character ‘The Mask’, especially in the 1994 live action adaptation where the mask actually transforms into Avery’s character ‘Wolf’. The extent to which his influence reaches is amazing, and it makes me happy to see that his genius and humour has been given the recognition it deserves, especially after his trying last years. Today I looked at the life before Tex Avery’s death and his death. I discovered that he spent his last few years doing drudge work for Hanna and Barbera as well as creating animated commercials such as ‘Raid’ and ‘Frito Bandito’. During his later years whilst working on ‘Kwicky Koala’ he became depressed and introverted. I found out that his home life wasn’t brilliant either. His marriage didn’t survive the drug overdose death of his son, which his wife blamed on him not being at home to act as a role model due to his work and filed for divorce. He spent his last years living in questionable shelter and eventually died from lung cancer on 26th August 1980. Unfortunately Avery didn’t have a happy last few years, but I’m hoping that his legacy proves to be more fruitful and show his influence on the world of animation. With Maya confusing us all, our team decided to have a quick meeting about our Pecha Kucha assignment. We began to look into Tex Avery in more depth finding more complex websites, looking at books and watching documentaries. We even had a group viewing of some of his most successful cartoons. We also sorted ourselves into sections onto which we would each do. Glenn is doing Avery’s early life, Veronika is doing his time spent at Warner Bros, Rachael is doing his MGM career and I am in charge of Avery’s Death and Legacy. I am so excited to do this topic as I can’t wait to research how he influenced the world of animation. Veronika also linked us to a book called ‘Tex Avery: A Unique Legacy’. This should come in handy to the project. Today each team was assigned a person on whom to do a Pecha Kucha style presentation on. Our team was assigned ‘Tex Avery’. 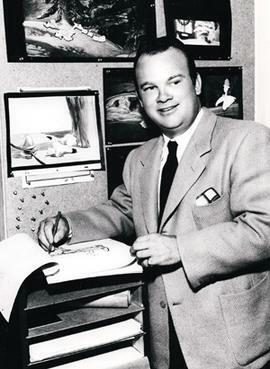 Tex Avery is an extremely influential animator from the Golden Age of Animation. He lent a hand n creating the ‘Looney Toones’ that we know and love today, as well as adding a quirky humour to the world of animation which had been dominated by Disney. I just briefly looked at his wikipedia today, however I am very excited to begin researching this animator.